After the war Albert Halton worked for many years at the Lansil Works in Lancaster until his retirement in 1961. Towards the end of his life he lived at Westfield Memorial Village in Lancaster. 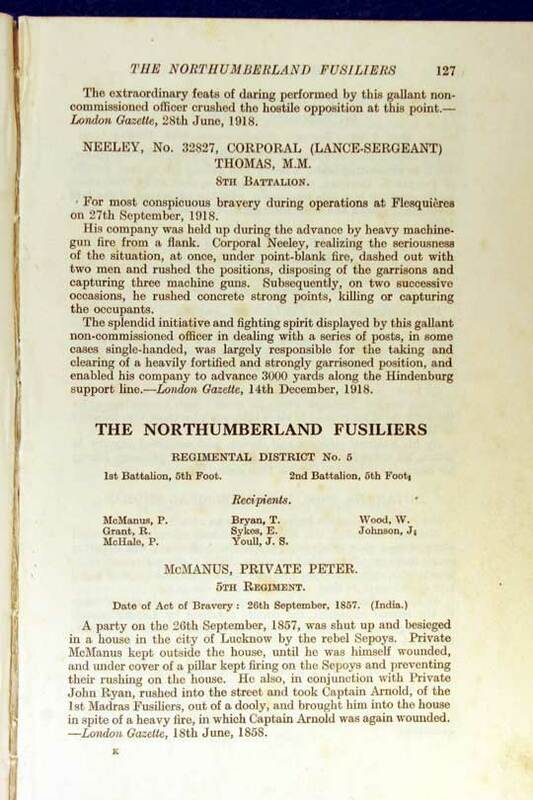 He was a staunch supporter of the Regimental Association and attended most functions until his death on 24th July 1971. 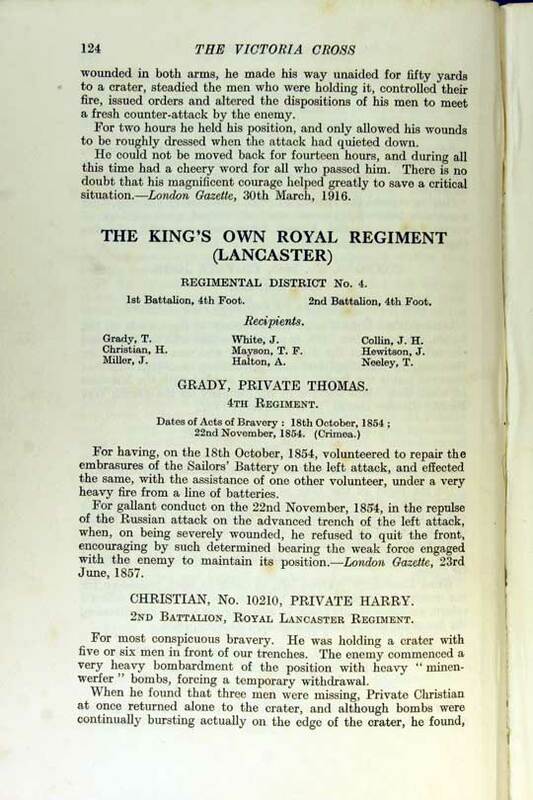 Full military honours were provided for his funeral at Lancaster and Morecambe Crematorium. 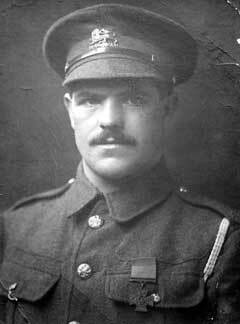 His Victoria Cross and other medals were presented to the King's Own Royal Regiment Museum by his family in 1993. 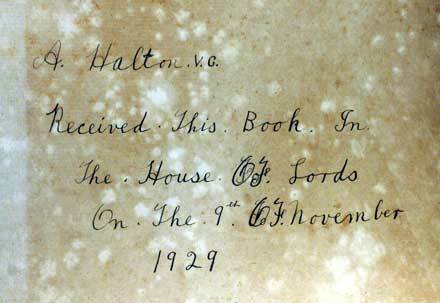 The family archive was donated to the King's Own Museum in 2018. 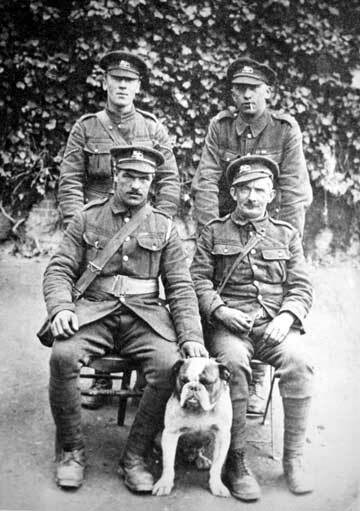 Private Albert Halton VC, seated on the left, with 1st Battalion comrades including Private Tom Wilkinson, MM, at Arras in 1917. 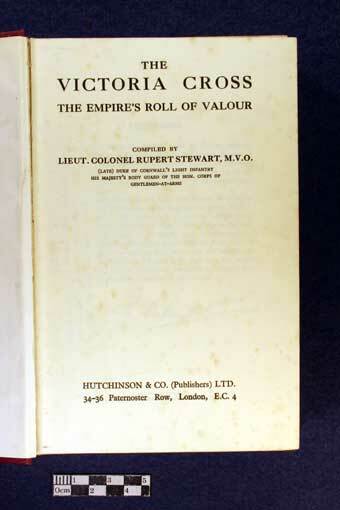 The Victoria Cross, The Empire’s Roll of Valour. 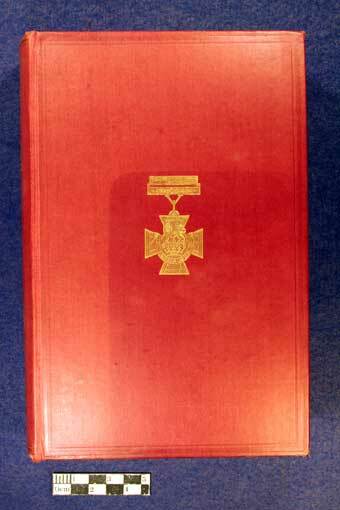 Compiled by Lieutenant Colonel Rupert Steward, MVO, (Late) Duke of Cornwall’s Light Infantry, His Majesty’s Body Guard of the Honourable Corps of Gentlemen-at-Arms. 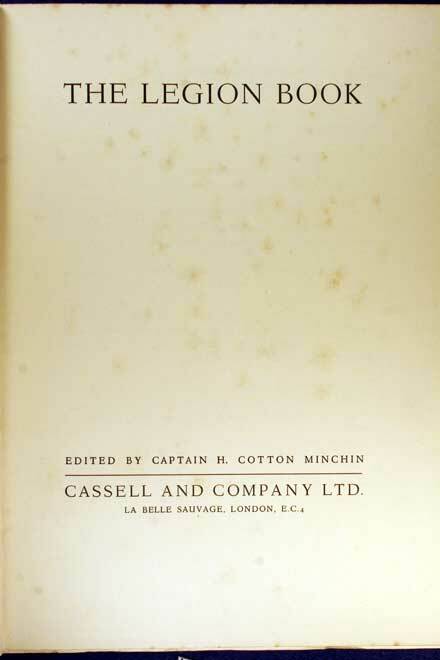 Published by Hutchinson & Co. (Publishers) Ltd 34-36 Paternoster Row, London. Insert for book ko3099/01 “Christmas 1928. 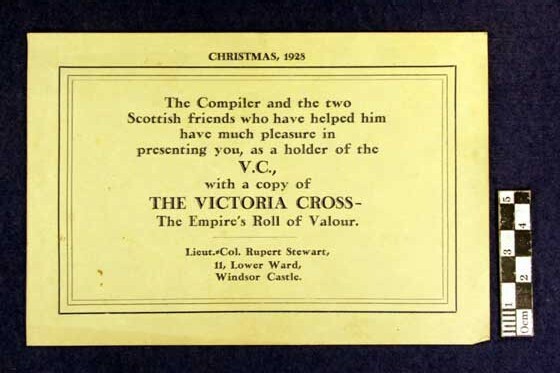 The Compiler and the two Scottish friends who have helped him have much pleasure in presenting you, as a holder of the VC, with a copy of The Victoria Cross, The Empire’s Roll of Valour. 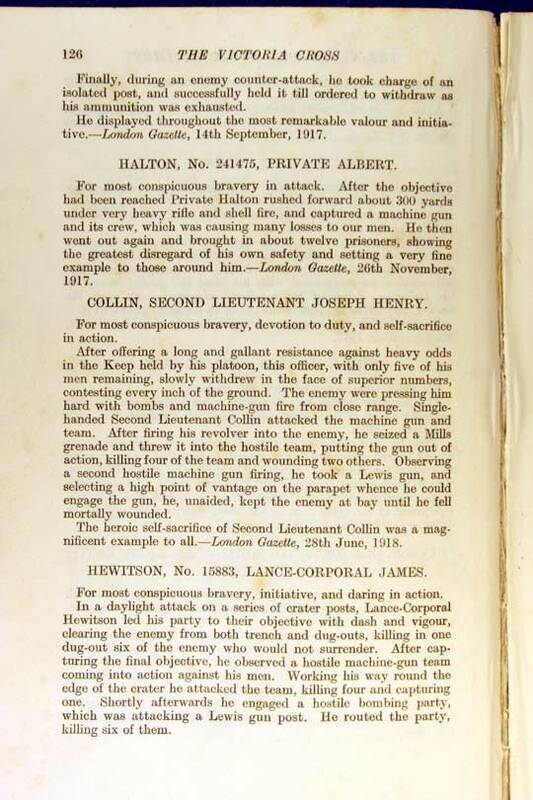 The Legion Book, Edited by Captain H Cotton Minchin. Published by Cassell and Company Ltd, London. Third Impression Oct 1929. 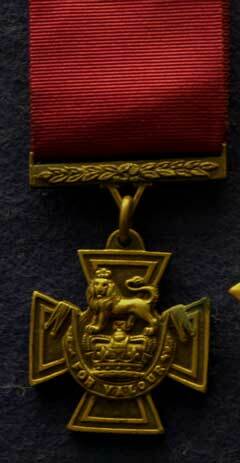 The Victoria Cross. 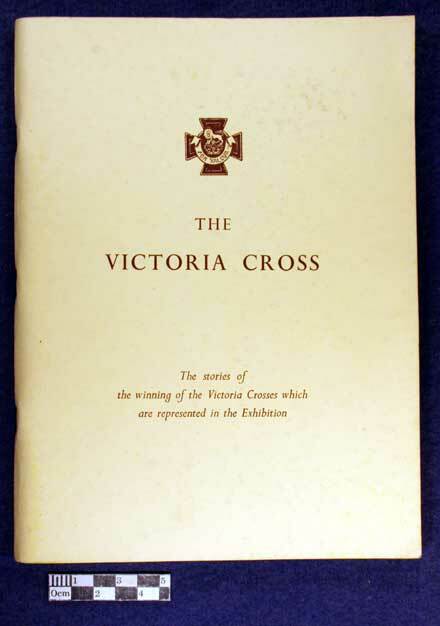 The stories of the winning of the Victoria Cross which are represented in the Exhibition. 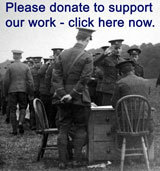 For the Centenary Exhibition 15 Jun 1956 to 7 Jul 1956, at Marlborough House. 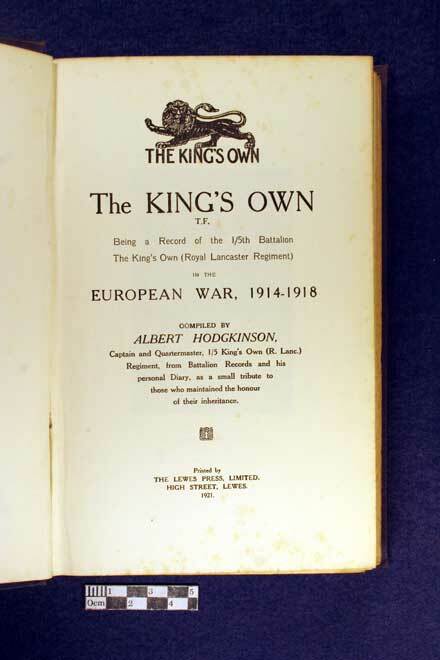 The King’s Own Territorial Force, Being a Record of the 1/5th Battalion, The King’s Own Royal Lancaster Regiment in the European War 1914-1918, Compiled by Albert Hodgkinson, Captain and Quartermaster 1/5 King’s Own (Royal Lancaster) Regiment from Battalion Records and his personal diary, as a small tribute to those who maintained the honour of their inheritance. Printed by The Lewes Press, Limited, High Street, Lewes, 1921. 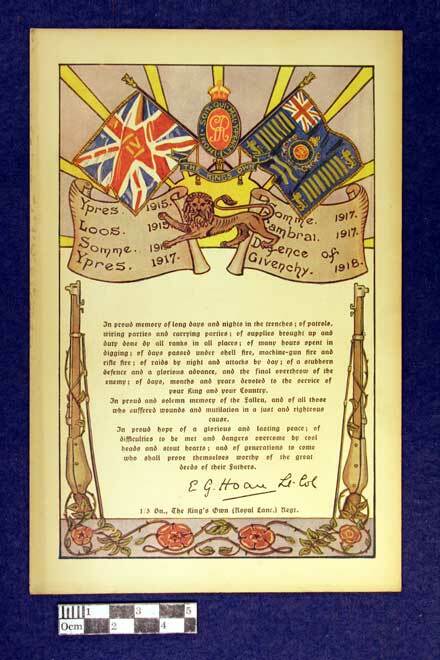 Souvenir Card of the 1/5th Battalion, King’s Own Royal Lancaster Regiment. 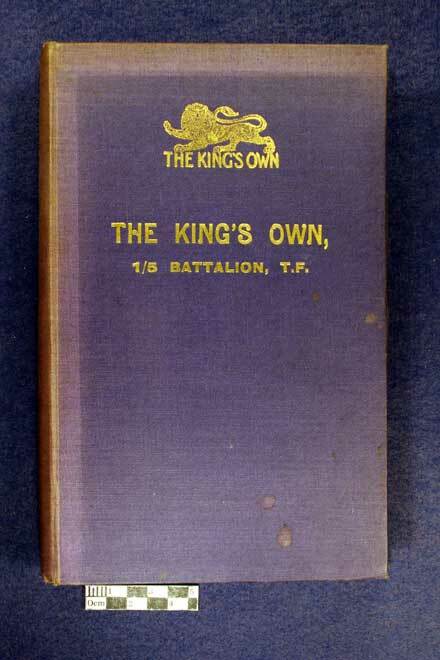 The King’s Own The Story of a Royal Regiment, Volume One, 1680 to 1814. By Colonel L I Cowper. 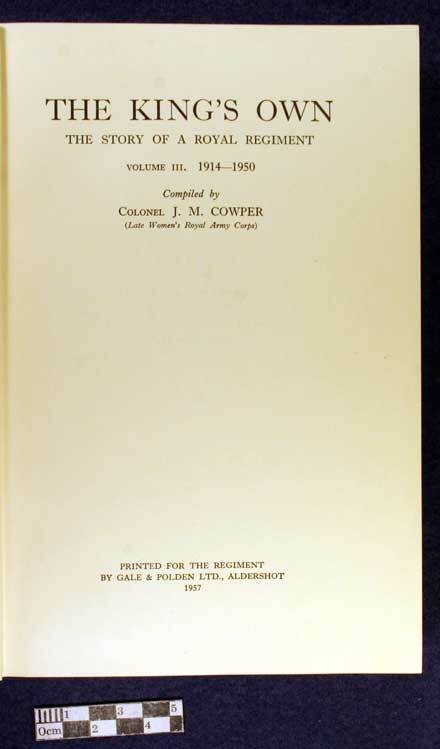 Published by the Regiment in 1939. 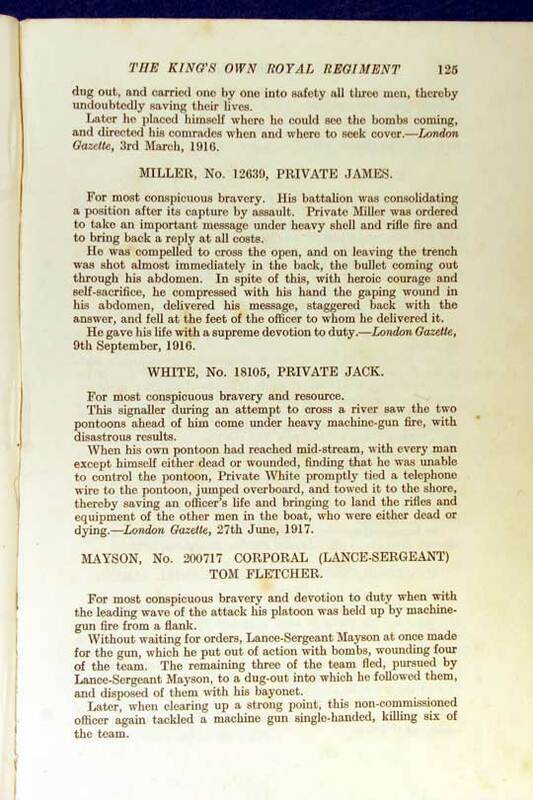 The King’s Own The Story of a Royal Regiment, Volume Two, 1815 to 1914. By Colonel L I Cowper. 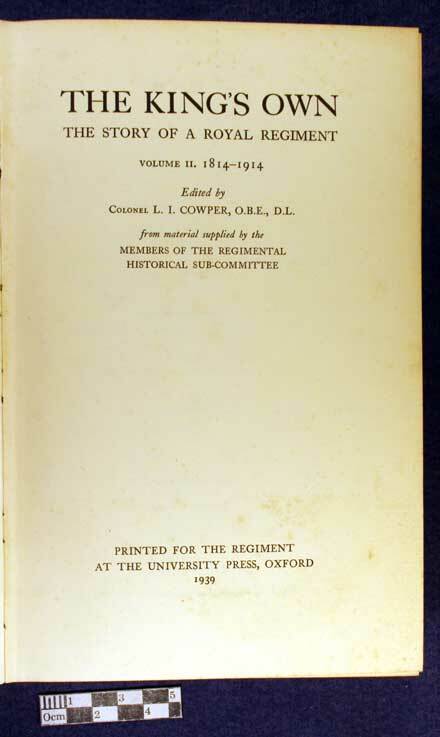 The King’s Own The Story of a Royal Regiment, Volume Three, 1914-1950 by Colonel J M Cowper. 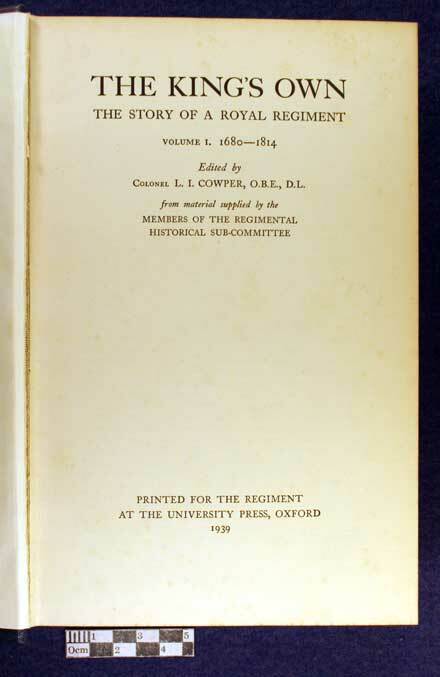 Published by the Regiment in 1957.